Reuben Shaw investigates mechanisms connecting cell metabolism to growth control. 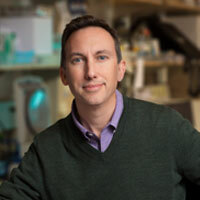 His lab utilizes biochemistry and genetic mouse models to study an ancient signaling pathway that is deregulated in both cancer and type 2 diabetes. The central goal of our research is to elucidate mechanisms by which cells connect nutrient availability to cell growth and metabolism. Our work is focused on a highly conserved signal transduction pathway controlled by the AMP-activated protein kinase (AMPK) that, when deregulated, leads to cancer and metabolic disease. Activation of AMPK by the tumor-suppressor LKB1 under conditions of energy stress serves as a central switch that reprograms glucose and lipid metabolism and halts cell growth. LKB1, which encodes a serine/threonine kinase that is the cause of the inherited cancer disease Peutz-Jeghers syndrome, is also one of the most commonly mutated genes in lung cancer. 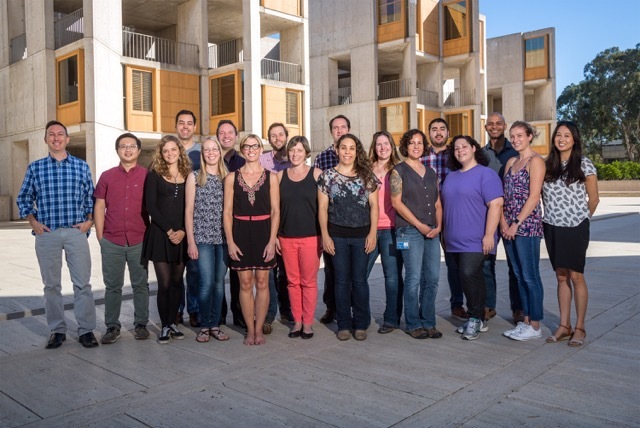 Current efforts in our laboratory are aimed at further identifying the key components of the LKB1-AMPK signaling pathway that suppress tumorigenesis and metabolic disease, as well as decoding the circuits linking fundamental cell biological processes to physiology. We employ a variety of biochemical, cell-biological, and genetic mouse models to dissect these biological processes. The discovery of this ancient energy-sensing pathway has already led to fundamental insights into the mechanisms through which all eukaryotic organisms couple their growth to nutrient conditions and metabolism. A deeper understanding of the key components of this pathway connecting metabolism and cell growth will instruct us how to best exploit these endogenous mechanisms to combat specific forms of cancer and type 2 diabetes.